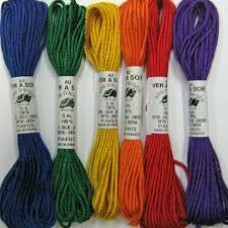 Au Ver a Soie Antique Metallic is a fine thread with an "antique" lustre. 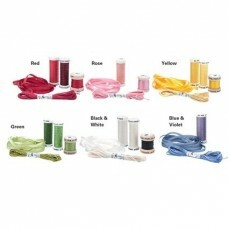 It can be used in all for.. Au Ver á Soie has been spinning and dyeing beautiful silk threads in France for nearly 200 years. 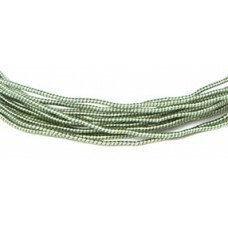 Sa.. 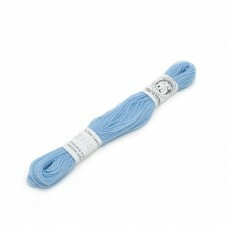 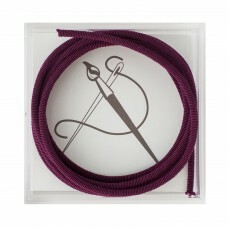 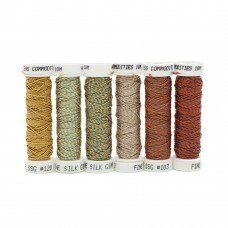 Choose the best texture for your needlework, with our Ensemble de Soie kits. 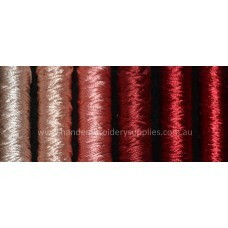 No other embroidery thr..
Cordon is a thick 100% pure silk gimp with a tiny contrasting stripe which adds a delicate ribbed te..
Filament Silk Wrapped Gimp is a gorgeous, versatile thread that was commonly used for 17th century e..
Fine d'Aubusson wool is from Au Ver a Soie and made in France. 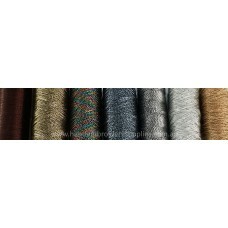 Although it is labelled as tapestry w.. 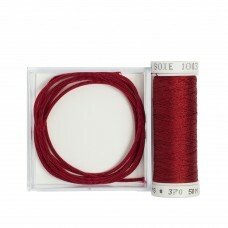 Absolutely gorgeous filament silk thread wrapped with a fine gilt wire. 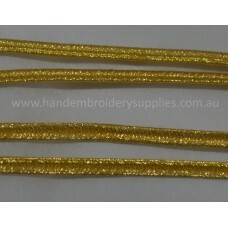 This is a reproduction threa..
Gorgeous Russia Braid can be used to outline or embellish your Hand Embroidery, Goldwork or Crazy Pa..
Beautiful new Silk Facette Gimp made entirely with Au Ver a Soie threads wrapped around wire in a se..
Gorgeous new pure silk gimp using Au Ver a Soie silks. 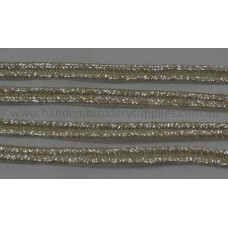 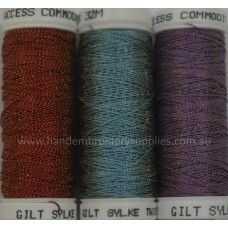 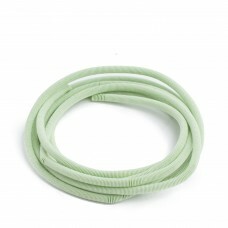 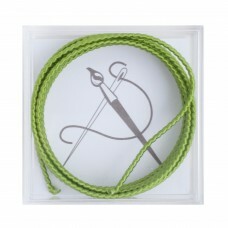 Silk serpentine gimp is a rococco thread with.. 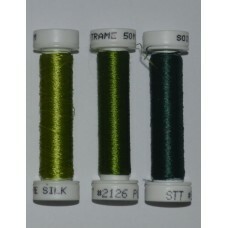 Silk Trame is a very thin flat floss silk. 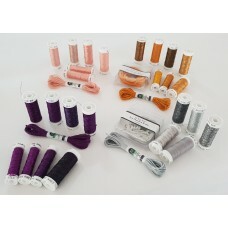 It is useful for thread painting, miniatures and combinin.. 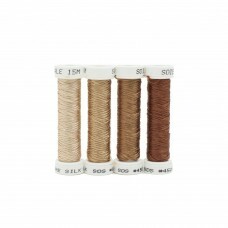 These gorgeous threads are made from copper wire wrapped with filament silk and then coiled over a m..
Soie 100/3 is a 3 ply spun silk with a moderate lustre and is smooth and soft. 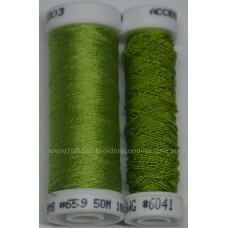 Suitable for all for..
Soie d'Alger (pronounced Swah Doll-Zhay) silk is a 7 strand spun silk that is loosely plyed and can ..
Soie de Paris is a 6 strand filament silk that is smooth, soft and lustrous. 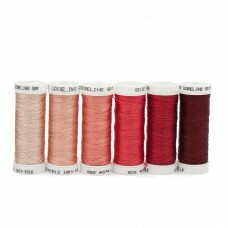 It is made with excelle..
Soie Gobelins is a 2 ply high twisted filament silk that is smooth, soft and lustrous. 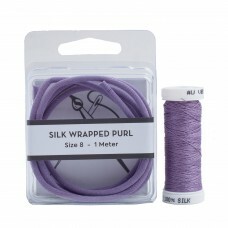 We currently..
Soie Ovale (flat silk) is a low twist filament silk that is smooth, soft and lustrous. 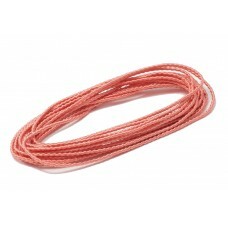 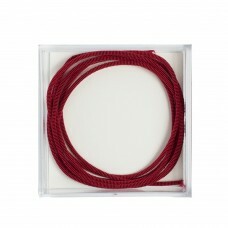 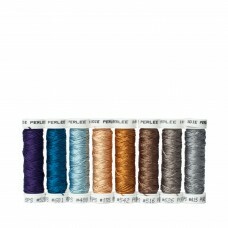 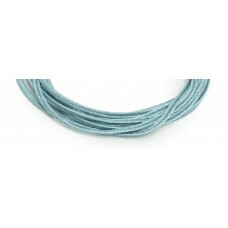 Available in..
Soie Perlee is a 3 ply twisted filament silk that is smooth, soft and lustrous. 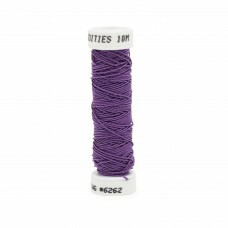 Suitable for all fo..
Fine silk braids are found on a variety of historical stumpwork embroidery pieces in public and priv..